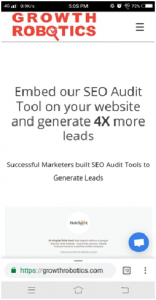 Before getting into how to perform an SEO audit lets us first understand what correctly SEO Audit is! 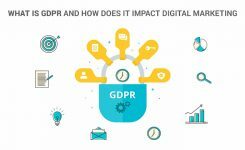 There are around 140,000 websites created every day and on an average Google processes around 40,000 search queries per second which means over 3.5 billion searches per day- that’s a lot. So being on Page 1 is very critical to generating business from online channels. But now the question arises- How do you land on Page 1? Well, there are various factors which decide your position on Page 1, and to check these factors it’s important to perform an SEO Audit. An SEO Audit can be termed as a process of analyzing the search engine compatibility of a website on various parameters. 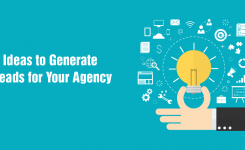 In other words, it’s about knowing the strengths and weaknesses of your website on a list of best practices laid by popular search engines like Google, Yahoo, and Microsoft etc. 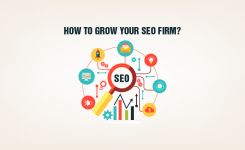 Now, since you have a gained a fair idea about SEO audit, let’s get started. There are more than 100 signals/parameters which popular search engines like Google looks while ranking your website. Interesting Fact: 20% of the SEO Parameters make an impact of more than 80% on your website. Sounds quite interesting, isn’t it? A title tag defines the title of a webpage; it is used in the HTML code. For instance, if you were searching for SEO on Google, then these are the results which search engine might come up with. The clickable headline for a given result is the known as the title tag. The title tag not only specifies the heading of your webpage but also gives a brief portrayal of the content of the page. 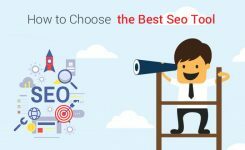 Title tags play a critical role in determining the ranking of your web-page as they are significantly displayed on the SERPs (Search Engine Result Pages). Also, when your webpage is shared on social media, the title tag is displayed as an anchor text. You should always check and make sure that your title tag is not very long and should not have more than 70 characters. Always try and use the long-phrased keyword in the title tag and most importantly the title you choose should be according to your page. The meta description tag gives a summary of the content present on your webpage. It gives an outline to the readers about what the page is exactly about. The Meta description appears right below the title tag. It acts as an advertisement for the readers. A useful, precise and relevant meta description can help you increase users click through rate. 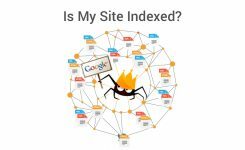 Although, Google algorithm does not consider meta description as a parameter for search result rankings meta description is an essential aspect of your SEO audit since it gives a clear picture to your visitor about the product/service they can expect from your website. A proper meta description will ensure more people can buy your product/service which in turn boost your ranking. The social media networks, define the posts based on the meta description. If the meta description is not defined then social network by default display the first two lines as a description for your web page. So always include a meta description for your webpage. The meta description gives actual meaning to your website. It should not have more than 320 characters and should be in active voice. 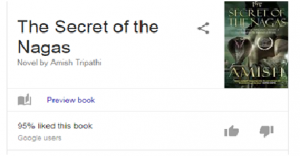 The meta description should always be unique and make sure it has structured content with your focus Keyword, this will help your site links to be automatically shown in SERPs. As it is said the first impression is the most essential and ever-lasting impression and I am sure you would like to give the best impression to your website visitors. The first line mentioned here is the Heading of the webpage. A good, crisp, clear, short heading is the best option to get the interest of the website visitor. It’s about explaining what all you do in just a few words. Mobile responsiveness means that your website is designed in such a way that it adapts itself to any kind of screen be it- phone, tablet, desktop, laptop or anything. With the rapid growth of smartphone usage, the website traffic has significantly been changing over the years. More than 50% of the users surf the sites through their mobile phones and also one-quarter of the online searches are mobile-based searches, so it is essential to have a website that adapts and looks good on all devices regardless of its shape and size. 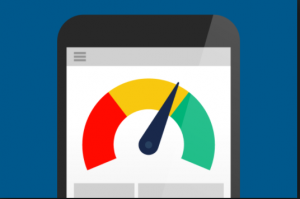 It is imperative that your website is mobile friendly as it is one of the ranking factors. Also, complete mobile-friendly pages are given more traffic by Google. So make sure you have created Accelerate Mobile Pages (AMPs) for your website. The page speed signifies how quick the visitors can see the content, images of the page and interact with it. Page speed is one of the important factors to attract more traffic and conversions on a landing page. As per the researchers, it is believed that in just 5 seconds, the online buyers close the landing page. 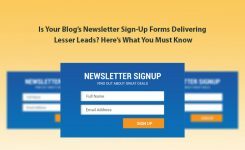 So it is important that the pages you create are faster which in turn will help you get more sales, leads, and traffic. Pages which have a long time generally have higher bounce rate too. Make sure your website always loads faster than your competitors. Hyperlinks commonly known as Links are present on most of the WebPages and allow you to hop to a new page consisting of the reference data when you just tap or click on them. You can attach links to images, HTML elements or texts. You can provide internal as well as external links on your website (i.e. within your webpage or to the other WebPages). The number of quality links on your website can help in attracting traffic to your site, which can help you increase your rankings. Google and other search engines give due credits for your links, so include an accurate amount of links on your website/page. Make sure you put proper internal & external links on your website. The links should not be broken. A structured snippet commonly known as a rich snippet is the additional information that is present just below the search results. It briefs the users about the link and content provided in the link. That additional information can be ratings of the products/services, date of issue of the articles, etc. Snippets quickly draw the user’s attention. They are the only way in which your webpage can standout against the different competitors. For instance, when you want to buy a book online you choose it probably by better rating. Same is the case with your users they check the ratings and only then opt for your website. How to check all the above parameters in < 10 mins? If you do it manually, it might take hours and you might not also get the recommendations/list of action items to fix the issues. 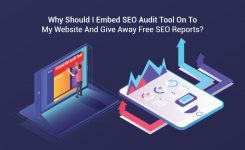 RoboAuditor is an SEO Audit tool, which can do the website audit report pdf on all of the parameters as mentioned earlier and many more ( more than 70 Parameters) in < 60 seconds. 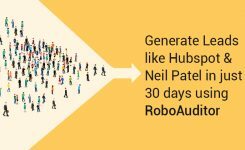 With RoboAuditor, you not only get a comprehensive SEO Audit but also White Label Audit Reports and also White Label SEO Audit Tool (Lead Gen Tool) which you can embed on your website and let your website visitor do their audits by sharing their email address with you.